A Liverpool fan has described being "carried along" by the pressure of the crowd outside Hillsborough, before seeing his friend disappear in the terrace crush. 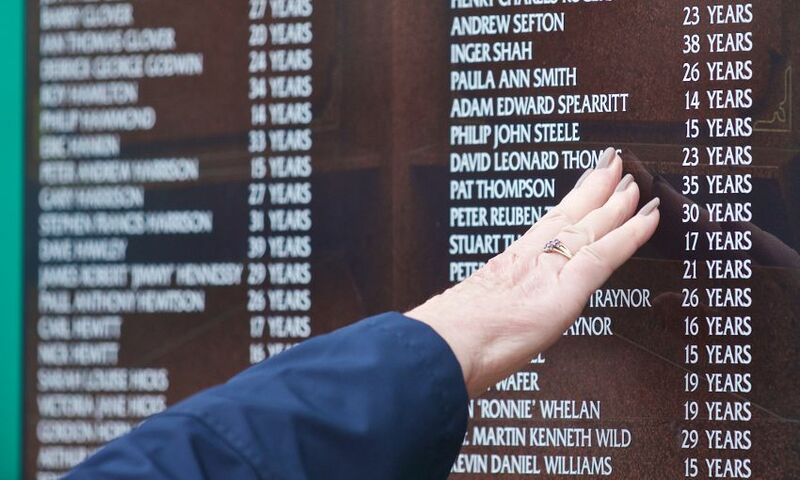 Lee Walls was at the 1989 FA Cup semi-final with Carl Brown, 18, who was one of 96 victims of the stadium disaster. Mr Walls described waving at his friend inside the ground, but "within a matter of seconds he disappeared". The new inquests also heard about the final movements of Ian Whelan, 19. Mr Brown, from Leigh, Greater Manchester, was a student hoping to take up a place at Manchester University when he went to the 15 April match between Liverpool and Nottingham Forest. Mr Whelan lived in Warrington, Cheshire, and worked for British Nuclear Fuels. In his statement about what he saw that day, Mr Walls described seeing a large group of Liverpool fans outside the ground ahead of the scheduled 15:00 BST kick-off. He described being "literally carried along with the crowd" as he and Carl Brown moved towards the turnstiles at the Leppings Lane end of the Sheffield ground. They then went down a tunnel leading into the fenced enclosures on the terraces, known as pens. Mr Walls continued: "As we got out of the tunnel, we got pushed to the right. Carl was carried further to the right. I looked at Carl and he waved but within a matter of seconds he disappeared. "I don't know if he got pushed right over or if he fell. I was carried towards the centre of pen three, then back towards the left-hand side." The court heard how Mr Walls' statement went on to describe how the pressure in the crowd built up and he lost consciousness. Christina Lambert QC, representing the coroner, said there was "no evidence" about what happened to Mr Brown after he was separated from his friend, or how he got out of the pen. It is believed Liverpool fan Gerard Cosgrove helped give first aid to Mr Brown, along with another supporter. Asked if he saw any signs of life in the casualty, Mr Cosgrove said: "Not that I'm aware of, no."